Credit: Schmidt Ocean Institute. Download this image (JPG, 130 KB). 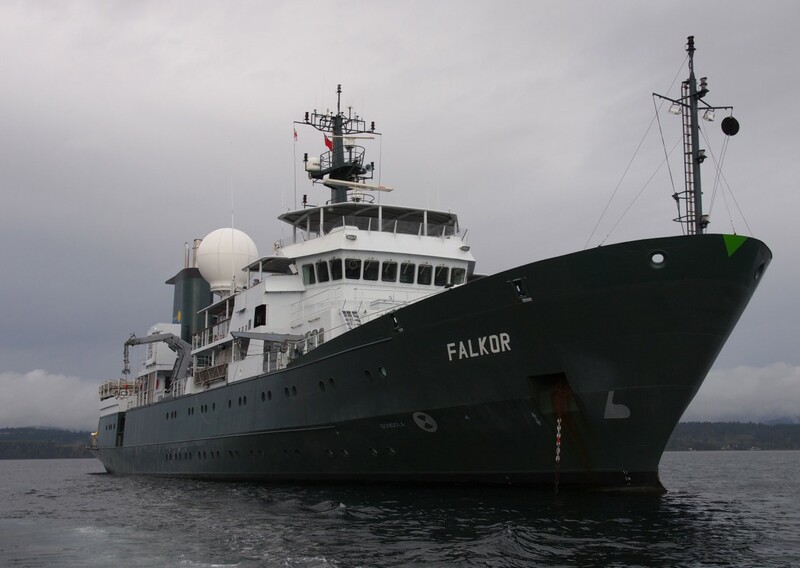 [17-Oct-16] The R/V Falkor is an oceanographic research vessel, the flagship vessel of the Schmidt Ocean Institute. R/V Falkor was originally built in 1981 in Lübeck, Germany as a Fishery Protection Vessel. The ship went through an extensive refit from 2009 to early 2012, converting the ship to an oceanographic research vessel. The "Sea to Sky Particle Investigation" will utilize the scientific equipment and facilities aboard the R/V Falkor to observe and categorize particle size distributions of plankton - leading to a more complete understanding of phytoplankton community structures and the role of phytoplankton in the oceanic carbon cycle.